With just 9 days away, we’re full steam ahead for our event and rallied several experts in the fields of entrepreneurship, data science, and software development. Behold! Thank you to everyone who volunteered to support this event! Interested in sponsoring? Contact Lee Ngo at lee.ngo@galvanize.com. One Month Away to SW Seattle: Data Science! Claim Your Sponsored Discounted Tickets by 4/30! Hello, there! Startup Weekend Seattle: Data Science is moving right along! With half of our tickets sold and a month left until May 20th, we’re projecting to sell out! Long-time friends of the Puget Sound community, New Tech is supporting our promotional efforts as well. 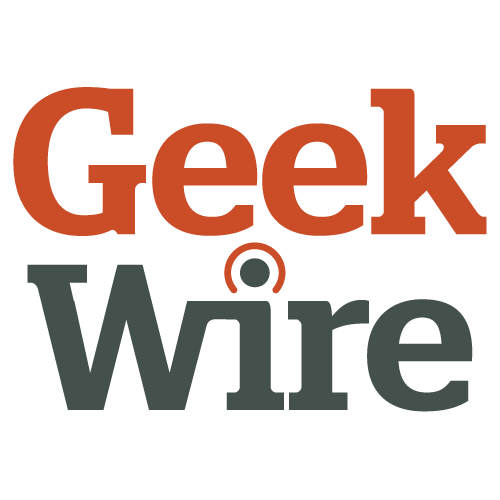 Our local news source for all things startup and technology, GeekWire has graciously promoted us on their active website. This and many other promotions currently available will expire in less than one week by April 30! Claim your tickets soon and join the fun! We’re grateful to add another sponsor to the mix! For the uninitiated, Algorithmia is an open marketplace for algorithms, to help data scientists and developers monetize their brilliant creations. Thank you, Algorithmia! For more questions about our event, email us at seattledata@startupweekend.org. Everyone thinks they know how to work in big data, but few people know how to actually do it. Paramount Pictures. Source. How we usually do Startup Weekend. Sony Pictures Television. Source. This is how I react on the inside. What Startup Weekend newbies fail to realize is that there is a fruitful underlying approach to modeling their technology, even among startups: tapping into the enormous collection of data collected by all of these apps. This data can be re-structured in ways to create meaningful, valuable insights for some particularly interested entities. However, what is the difference between meaningful and non-meaningful data, and how can that be commercialized within the confines of a weekend competition? Enter the data scientist. Walt Disney Studios Motion Pictures. Source. Science. Data science is the hottest field in software technology right now. Even the companies listed above are applying themselves more in the data science sectors, improving upon their predictive analytics and machine learning algorithms. Whenever technology hits the news, it’s due to some experimentation in artificial intelligence or improved automation: all of which extend from the field of data science. Universal Pictures. Source. Brought to you in part by data science. Thus, I have been inspired for a while to do a data science-themed event, one that creates an entire category specifically for data scientists to participate and work with the standard developers, designers, and non-technical entrepreneurs. I want the broader startup community to discover the direction the high tech industry is taking while exposing data scientists to the fun and excitement of entrepreneurship. NBC Studios. Source. Teamwork is everything. Perhaps it’s time for Startup Weekenders to focus less on what’s already been done and more on what everyone wants them to do: innovating in the space of big data. On May 20th at Galvanize Seattle in Pioneer Square, we will launch the first-ever data science-themed Startup Weekend. Tickets are available at swseads2016.eventbrite.com. Galvanize is an education company providing support for developers, data scientists, and entrepreneurs at several campuses throughout the U.S.
LIFFFT is a product development acceleration service that help customer-focused organizations learn more, build faster, and experiment at lower risk. ProCogia is a technology firm that takes out the ambiguity from decision making by providing timely actionable insights from analysis of your data. New Tech Northwest is one of the largest community-driven technological resources in the Pacific Northwest area, hosting monthly meetups and engaging content. Washington Technology Industry Association is the state’s ‘fixed point’ for the technology community, mobilizing industry, education and government to make the region the leading technology community in the world. We are still looking for support to keep costs low and encourage others from underrepresented communities to participate. Email me at lee.ngo@galvanize.com if you’d like to help. Join us in this grand experiment of taking Startup Weekend into the future with data science. Seattle, WA – March 3, 2015 – On May 15, 16, and 17, entrepreneurs and creative minds will be taking over Lake Washington Girls Middle School – Seattle’s first middle school for girls. – for a Startup Weekend like no other: one specifically designed for fifth through tenth grade GIRLS. Organizers and volunteers of Startup Weekend GIRLS have been working to ensure that this event provides not only inspiration, but also the resources required for building and launching a viable, scalable company. There has never been a Startup Weekend designed specifically for girls; it feels only natural that it happens first here in Seattle, and at a school for girls that was a startup in its own right. Startup Weekends are about learning through the act of creating. Participants don’t just listen to theory; they present their own ideas, build their own products, and put them to test while collaborating with like-minded, passionate individuals from a wide variety of backgrounds and points of view. On top of that, Startup Weekenders receive invaluable one-on-one time with the movers and shakers within the community, as local tech and startup leaders take part in Startup Weekends as mentors/coaches and judges. Some of the people we have lined up for this year include Rebecca Lovell (Startup Liaison, City of Seattle), Monica Guzman (GeekWire), Casi Schwisow (Girls Who Code), T.A. McCann (RivalIQ), Stacey Kinked (Rivet & Cuff), Bryan Lhuillier (Shiftboard), and Zach Smith (Substantial). Startup Weekend GIRLS Edition is specially designed for the next generation’s entrepreneurs-in-the-making, fifth through tenth grade girls. Our team of highly innovative and connected mentors and judges will create an atmosphere of exercises and experiences that will teach girls how to come up with business ideas, conduct market research, prototype, work in teams, and “pitch” their ideas to a room full of people. Our goal is to give girls the confidence to innovate and create they will need to succeed in all aspects of life. All Startup Weekend events follow the same basic model – which will massaged a little bit to fit the needs of our aspiring entrepreneurs: participants pitch their startup idea and receive feedback from their peers. Teams form around the top ideas (as determined by popular vote), and then it’s a frenzy of business model creation, coding, designing, and market validation. The weekends culminate with presentations in front of local entrepreneurial leaders with another opportunity for critical feedback. Everyone is guaranteed to leave the event better prepared to navigate the chaotic but fun world of startups. If you’d like to get involved with Startup Weekend GIRLS, let us know here, or at lwgms.org/su-weekend-girls. If you are a girl in fifth through tenth grade and would like to attend, get your tickets soon…we only have 35-40 spots!